Spreadsheets, love them or hate them they are everywhere (and not going anywhere anytime soon). At least we can make them a little easier to visualize. Here's one way to do that with ReportPlus. Hot off the heels of our release of the first version of ReportPlus desktop, we are excited to announce that ReportPlus now supports connecting to Box and OneDrive to visualize your excel spreadsheets on ReportPlus Desktop and Mobile(iOS and Android). We currently support connecting to spreadsheets on DropBox, Google Drive, and SharePoint and with the addition of Box and OneDrive, we now support all of the most popular cloud storage providers. With this release, we can now help Box and OneDrive users take their boring spreadsheets and turn them into interactive visualizations and dashboards to better understand their data. The combination of ReportPlus and OneDrive/Box allows users to track key metrics right in the palm of their hands with our “Apple Featured” mobile experience. We all have a love/hate relationship with managing our metrics through a simple spreadsheet, but the reality is that it’s become a standard that everyone is familiar with. It’s a universal language in the business world. Our own observation of how people use ReportPlus has shown that over 50% of the data that’s visualized with our product is from a spreadsheet such as Excel, CSV, or a Google Sheet. With this release, we are adding two of the most popular cloud storage providers where people typically store their spreadsheets to view across their devices and easily share them with others: Box and OneDrive. For our users, adding Box and OneDrive allows them to do some pretty powerful things with very little effort. Personally, it’s one of my favorite ways to use ReportPlus with a spreadsheet in the cloud where the data can be updated in real-time and instantly visualized with ReportPlus. It’s a powerful way to maintain a spreadsheet on Box, OneDrive, DropBox, SharePoint, or Google Drive: simply connect your data with ReportPlus to visualize it at a glance and keep everyone updated with dashboards showcasing the latest metrics. It’s one of the simplest and most cost-efficient ways to keep your whole team informed on their mobile and desktop devices while keeping all your data in one place. 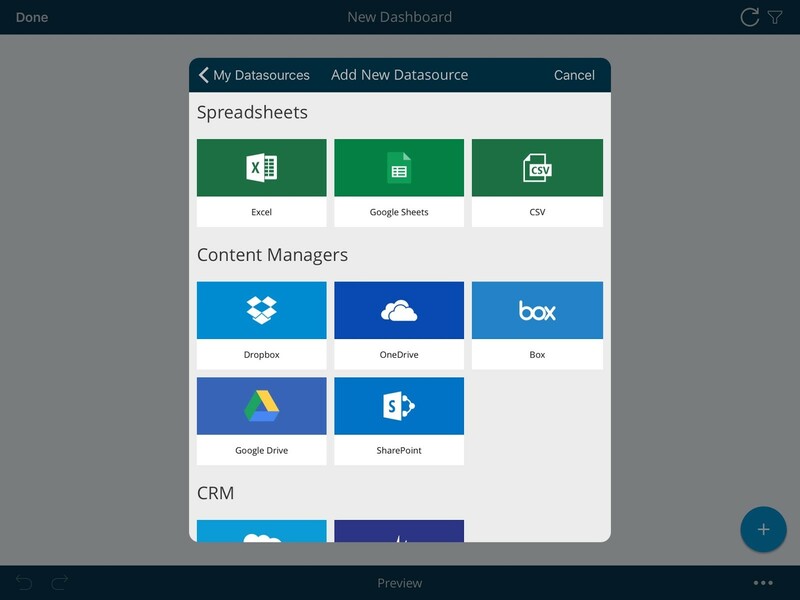 When you build dashboards with ReportPlus using spreadsheets on Box or OneDrive, they remain securely connected. That means every time you update your data in Box or OneDrive, your dashboards stay updated within ReportPlus with the latest view of your business. For more information on how to connect to Box or OneDrive and create your first visualization check out this short video. For a full list of enhancements and more info, check out our release notes here. Also, we plan on adding additional data sources over the coming months, so I encourage you to let us know what data sources you would like for us to add by submitting an idea here. Published at DZone with permission of Michael DiFilippo , DZone MVB. See the original article here.